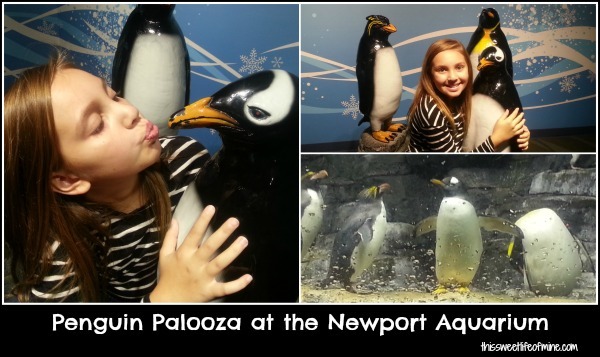 Last week, the Newport Aquarium offered a homeschool discount. It had been about 8 years since I had been. When we lived in KY, we had an annual pass, and I took the kids often. Em was little, though, and barely remembered it. I decided it was a great place to take our first homeschool field trip of the year. Emma had so much fun! She absolutely loves penguins so she couldn’t wait to get to the penguin exhibit. We were able to watch one of the handlers feed the penguins, and there was even a really “fluffy” baby penguin. This area was definitely the highlight of Emma’s day. While we were there, we found out that they actually have a Penguin Encounter experience. With the purchase of a ticket, you can go into the penguin exhibit for a hands-on encounter. The handlers talk about the penguins, and then you can pet the penguins. Sadly, however, I didn’t know about this before we went to the aquarium, and we didn’t get to participate. Emma was devastated. Hopefully, next time we go, I’ll plan ahead in the budget and make it happen for her. There are several touch tanks at the Newport Aquarium. We were able to touch some starfish and a horseshoe crab. The crab flipped himself upside down right when we got there. That was cool, because we got to see his underside. We got to touch sharks, too. It was too cool. I usually just watch the kids touch the animals, but Emma insisted I do it, too. I touched three, and all of them felt different. One was slick. One felt like sandpaper, and the third felt like both. Then, we moved on to a turtle touch tank. 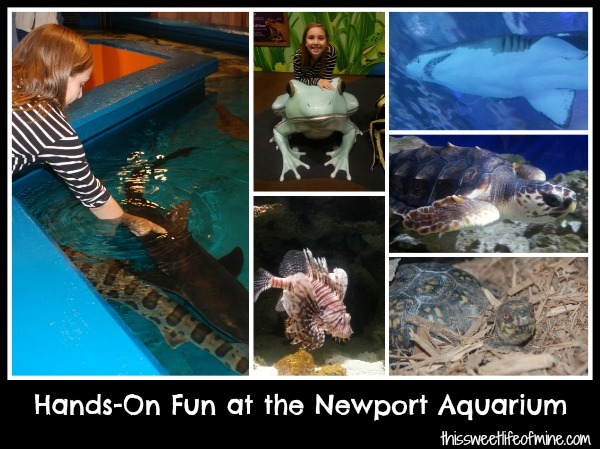 I love the hands-on experiences at the Newport Aquarium. One of my favorite parts of the Newport Aquarium is the shark tunnel. I love walking through the tunnel with the rays and the sharks swimming over my head and under my feet. You can see one of the sharks in my photo above. It was swimming overhead, and Emma and I marveled at his teeth! Wowza! If you find yourself in the Cincinnati area, you should definitely check out the Newport Aquarium. Spend some time on the Riverwalk. Browse through Barnes & Noble. Grab a bite to eat. Make a day of it. We just got a new penguin exhibit at our zoo, we need to make a trip to see! Thanks for sharing at FTF!